TN TRB Recruitment 2018 186 Assistant Professors (Pre-Law) vacancy Apply through Official website http://trb.tn.nic.in. 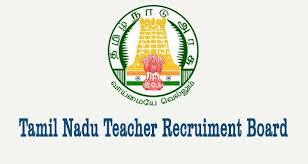 TN TRB invites on-line applications for appointment in following Assistant Professors (Pre-Law) post in Tamilnadu Teachers Recruitment Board. The last date for submission of online applications is 06.08.2018. other Details Like education qualification, age limit, selection process, application fee & how to apply, important links, syllabus, admit cards, results, previous papers are given Below. i Master’s Degree in Law in the relevant subject for which application is made of any recognised University with not less than 55 percent marks and a good academic record ; “(As per the Order dated 23.12.2010 of the Hon’ble High Court, Madras in Writ Petition No 10930 of 2010).” Provided that candidates belonging to Scheduled Castes and Scheduled Tribes shall possess not less than 50 percent marks in the relevant subjects. Provided further that holders of Ph.D in Law, who have passed their Master’s degree in Law prior to the 19th September 1991, shall possess not less than 50 percent marks in the Master’s degree in Law. i MA Degree in any of the universities in the State of Tamil Nadu or a degree of equivalence in the respective subjects as may be specified by the Government from time to time with not less than 55 percent of marks in the respective subject and a good academic record ; Provided that candidates belonging to Scheduled Castes and Scheduled Tribes shall possess not less than 50 percent of marks; Provided further that holders of PhD degree who have passed their Master’s degree in the respective subject prior to the 19th September 1991, shall possess not less than 50 percent of marks. No person shall be eligible for appointment by direct recruitment to the posts of Assistant professor and Assistant Professor (Pre-Law), if he/she has completed the age of 40 years as on 01.07.2018, provided that for BC, BC(M), MBC, SC, SC(A), ST and Differently Abled candidates, the age shall not exceed 45 years as on 01.07.2018. Provided further that for appointment to the posts of Assistant Professor and Assistant Professor (Pre-Law), for each year of service, whether regular or temporary, rendered in any of the teaching posts in a Law College in the State by a person, the age limit will be increased by one year subject to a maximum of five years.